(York, Pa. – May 21, 2012): The two-time defending Atlantic League Champion York Revolution has announced the signing of Major League veteran outfielder Bobby Kielty. Kielty spent each season between 2001 and 2007 playing in the Majors, most notably with the Minnesota Twins and Oakland Athletics. Breaking into professional baseball as an undrafted free agent with Minnesota in 1999, Kielty would reach the Major Leagues just two seasons later with the Twins in 2001, appearing in 37 games. He played in 112 games with the Twins the following season in 2002, and batted .291 with 12 home runs and 46 RBI. That effort saw Kielty finish an impressive fourth in American League Rookie of The Year voting. Midway through the 2003 season, Kielty was traded from Minnesota to the Toronto Blue Jays for outfielder Shannon Stewart. 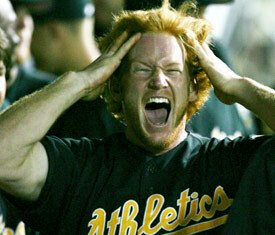 After finishing the ’03 season with Toronto, Kielty was traded again in the offseason, to the Oakland Athletics for starting pitcher Ted Lilly, and would spend the next three-plus seasons in Oakland. He finished 2007 with the Boston Red Sox, his most recent MLB stint. Since 2008, Kielty has suited up for the Triple-A clubs of Boston (Pawtucket), Minnesota (Rochester) and the New York Mets (Buffalo). Last season, Kielty played for the Tucson Padres in the Triple-A Pacific Coast League, San Diego’s top affiliate. In 599 Major League Games played over seven seasons, Kielty has accumulated 53 home runs and 253 RBI, with a .254 average. Primarily a corner outfielder during his career, he does have Major and minor league starts in centerfield and at first base as well. Twice Kielty was on the losing end of an American League Championship Series, in 2002 when Anaheim defeated Minnesota, and again in 2006 when Detroit defeated Oakland. However, Kielty was on the Red Sox World Series roster when they captured the 2007 title over Colorado. In his only World Series at-bat during Game 4 on October 28, Kielty slugged a pinch hit home run off reliever Brian Fuentes on the first pitch of the top of the eighth inning at Coors field, extending Boston’s lead to 4-1. It proved to be the game winning run, as the Red Sox held off the Rockies 4-3, winning the series 4-0. Kielty, who will turn 36 on August 5, is in his 13th professional season overall. The Fontana, California native played collegiately at Riverside Community College in his home state, before moving to the University of Mississippi. Will the real Kerry (Carrie) Wood please stand up? On the day that Kerry Wood was able to write a storybook ending to what has not been a storybook career, there’s one photo we have to share. Friday morning Wood announced that he would retire after his next appearance, cutting short a frustrating season in what was a frustrating career. Wood struggled at times to stay healthy to display the insane talent he used to tie a Major League record with 20 strikeouts in just his fifth MLB start his rookie year. As it would turn out, Chicago Cubs Manager Dale Sveum needed Wood later in the day Friday in the top of the eighth inning, and he struck out the only batter he faced before leaving to a raucous ovation. While we wish Wood had had the career he and everyone else envisioned, we are very glad he ended up with a 15-year career despite the injuries, turning into an above-average Major League reliever, and even a closer at one point. Very fitting he got to end his career on the mound at Wrigley Field, the place which could barely hold all his potential back in 1998. After stints with the Indians and Yankees, he hangs ’em up as a Cub. Unfortunately the Cubs tortured existence continued with a 3-2 loss to the crosstown White Sox Friday afternoon as interleague play begins this weekend. Anyway, the photo…here is a picture of Kerry Wood with the Yankees…with…Carrie Wood, Revolution intern in the marketing department. You can usually spot Carrie Wood during the game throwing frisbees and t-shirts into the crowd and she also writes articles for the York Revolutionary Times. Here, the Woods are enjoying a beautiful day before a Yankees-Orioles game at Camden Yards in 2010, Kerry Wood’s only season with New York. Orioles and Nationals fans may recognize Carrie Wood’s Dad Phil Wood from inside their TV, he works for MASN. 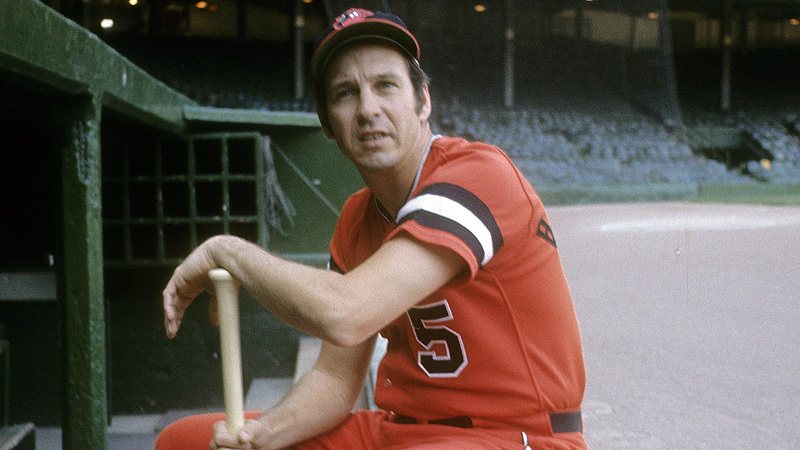 On Friday we celebrated Brooks Robinson’s 75th birthday. He’s of course enshrined in bronze on the Brooks Robinson Plaza outside of Sovereign Bank Stadium, in his 1955 York White Roses uniform. And finally last October, the long overdue statue of Brooks in Baltimore was unveiled across the street from Oriole Park. While the Baltimore statue may be way bigger, always remember it was York and the Revolution who were the first to properly honor the 1964 American League MVP, winner of 16 consecutive Gold Gloves between 1960 and 1975 and first ballot Hall of Famer in 1983. He got his professional start in the White Rose City 57 years ago as an 18-year-old. So happy birthday Brooks. The second reason for this post was to share this awesome photo of the best uniform the Orioles ever had. They brought back the orange jersey this year, hopefully the orange pants aren’t far behind. Maybe a little out there, but Brooks pulled it off. When I took Ian Thomas’s headshot during spring training and added it to the website, he saw his player page and requested a new one. He was wearing his bill too high and looked like a goof. After a re-shoot with his hat pulled down, he looked like a ballplayer, and this time it stuck. Good thing he made the request – because as it turns out it’s his headshot that winds up being the first with a recognizeable logo on it during the 2012 season. The Atlanta Braves dipped into the Atlantic League for a second time in a week Thursday, purchasing Thomas’s contract and assigning him to the Class A Rome Braves of the South Atlantic League. It’s unusual for an Atlantic League player to report to a lower level such as the Sally League upon being signed, but Thomas was one of the younger players in the league, lacking the Double-A and above experience most of the players on the circuit have. Nevertheless, he was dominant during his three-week stay with the Revolution, and if he had success against the veteran hitters of this league, he should thrive in the lower levels. Hopefully we see him moving through the Braves farm system sooner than later…and I have a feeling he’ll be promoted soon. Above him are the A-Advanced Lynchburg Hillcats (Carolina League), the Double-A Mississipppi Braves (Southern League) and the Triple-A Gwinnett Braves (International League). A few days ago, the Braves signed MLB vet Felix Pie (Cubs, Orioles) to a deal and assigned him to Gwinnett, taking him away from Camden. 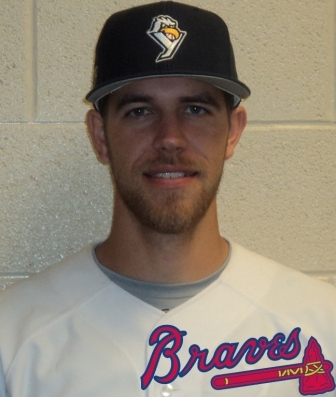 (York, Pa – May 17, 2012): The two-time defending Atlantic League Champion York Revolution has announced the contract of left-handed relief pitcher Ian Thomas has been purchased by the Atlanta Braves. With the transaction, Thomas becomes the first Revolution player this season to have his contract purchased by a Major League organization. 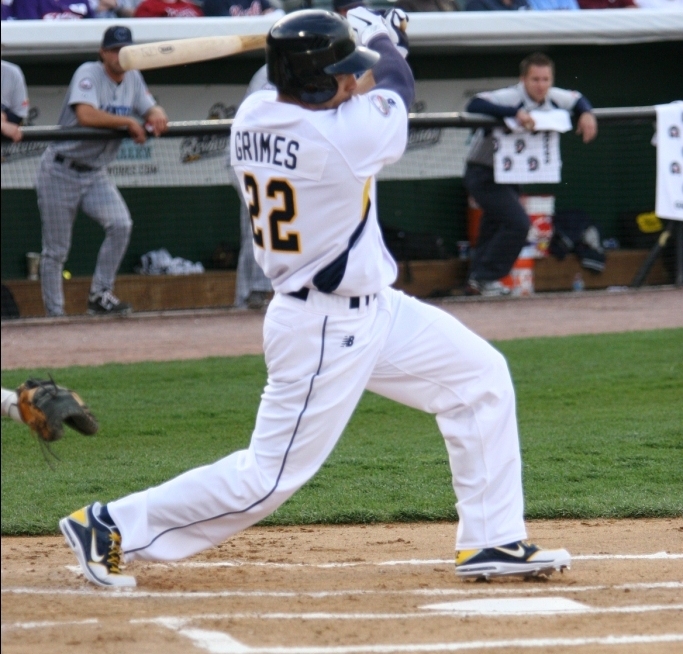 Thomas, 25, is one of the younger Revolution players in history, and joined the club for his first Atlantic League experience after three seasons with the Winnipeg Goldeyes. In 82 professional appearances prior to 2012 with Winnipeg, Thomas was 11-5 with a 2.03 ERA, averaging 10.4 strikeouts per nine innings, allowing just 6.6 hits over nine innings. He was the Northern League’s Rookie of The Year in 2010 after going 5-1 with four saves and a 1.64 ERA that season. Thomas was a good as advertised once a Rev, dominant out of the York bullpen. In seven appearances and 9.1 innings pitched, the southpaw allowed just one run, while striking out 12. His ERA during his brief stay in York was 0.96. The Braves acquisition of Thomas will be his first regular season experience with an MLB organization. The Norfolk, VA native and Virginia Beach resident pitched collegiately in his home state at Virginia Commonwealth University (VCU) in Richmond, graduating in 2009. From the York Daily Record: York County resident and 10-year Major League veteran pitcher Mark Hendrickson is using a head-scratching plan to try to return to professional baseball. Not that I can speak for our baseball operations staff, but I’d have to imagine a guy living in York with Hendrickson’s track record could probably find a spot on the Revolution one way or another, starting or relieving. From Philly.com: Former Camden Riversharks third baseman Mike Costanzo is the latest former Atlantic Leaguer to reach the Majors, and he made his debut at that for the Cinicinnati Reds. The Philadelphia-area guy was the Phillies #1 pick back in 2005, and was able to revive his career in Camden after less than stellar minor league stints with the Phillies and Orioles. He excelled at Double and Triple-A last season after the Reds plucked him from Camden. From NBCSports.com: Former Cub and Oriole Felix Pie’s stay in the Atlantic League was brief, albeit successful. His contract was purchased by the Atlanta Braves, who have assigned him to Triple-A Gwinnett. Wouldn’t be shocked to see him suit up for the big league Braves before season’s end. While it’s doubtful at this point the now 27-year-old Pie will ever live up to the top prospect hype he was once billed with, he adds needed outfield depth to the Braves organization at the higher levels. Give Pie credit, he played his cards right. Although the report says he was cut by the Cleveland Indians out of spring training, they actually wanted to send him to Double-A Akron, which he apparently saw as a giganitc waste of time considering the amount of Triple-A and MLB experience he has. So he decided to ask for his release from the Indians and play in the Atlantic League until a worthwhile Triple-A offer came. 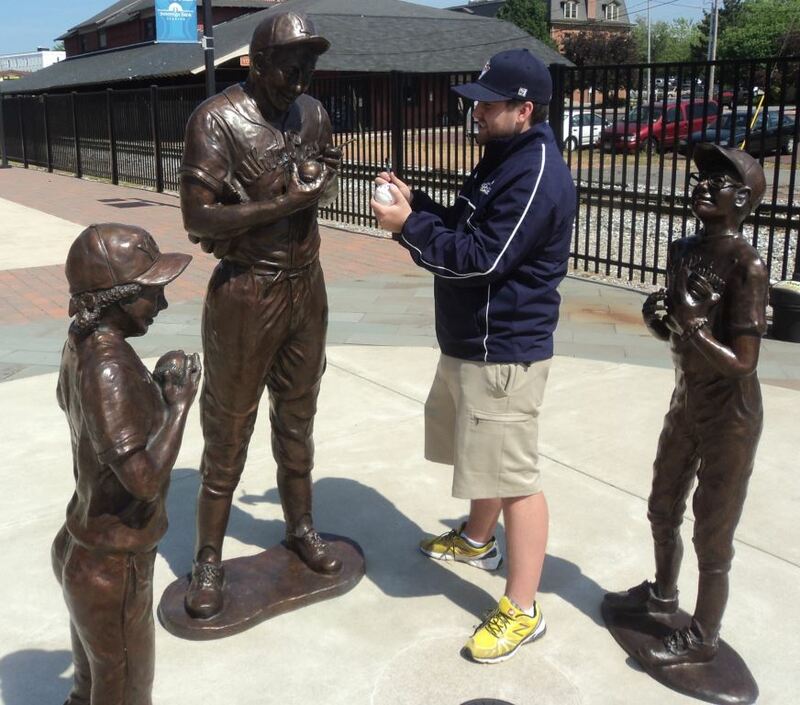 Representatives from the Boston Red Sox were in York to see Pie play with Camden May 1-3, but again the rumor is they wanted him to start at Double-A Portland, no dice. Finally the Braves came in with a respectable offer. Camden wasn’t expecting to have Pie long…and he did help them tread water through their bizarre 12-game road trip to open the season. He departed with a .353 average, three homers and 12 batted in. The Revolution sure couldn’t get him out. From Revs Inside Pitch: Jim Seip examines some tense moments between the Patriots and Revolution in last weekend’s series, regarding Freddie Bynum pimping a home run he hit off James Houser. The faces in the clubhouse may change, but for some reason the Pats and Revs just do not like each other when they are between the white lines. The same is not true for the front offices, myself and Patriots Vice President of Communications Marc Russinoff get along just fine. From MyCentralJersey.com: Third baseman Jeff Nettles has played for the Somerset Patriots for the better part of the last decade now, and has become the Atlantic League all-time hits leader. Last season, he took over the ALPB all-time lead in RBI and doubles as well, and the league runs and home runs record are in his sights as well. From The York Dispatch: Brian Wisler, the official scorer at Sovereign Bank Stadium gets a day off from sports…never. An elementary phys-ed teacher in the Central York School District, here’s a column from beat writer John Walk on a special track meet Wisler organizes and helped found. With two solo shots in Thursday’s day game against Camden, Scott Grimes became the all-time York home run leader in the six-season history of Sovereign Bank Stadium. His total of 18 surpassed Jason Aspito and Matt Dryer with 17. Another current Rev, James Shanks, sits fourth on that list with 16. Ramon Castro has 15 and Chris Nowak have 10 apiece. The multi-homer game for Grimes was his fourth in a Revolution uniform, tying Jason Aspito with four such games in Revs history. Chris Nowak has three two-homer games. On Thursday the organization announced the signing of right-handed starting pitcher Shawn Hill. Hill will be active this weekend as the Revolution take on the Bridgeport Bluefish in a three-game series at Sovereign Bank Stadium. His first start for the club and the corresponding roster move are both to be announced. 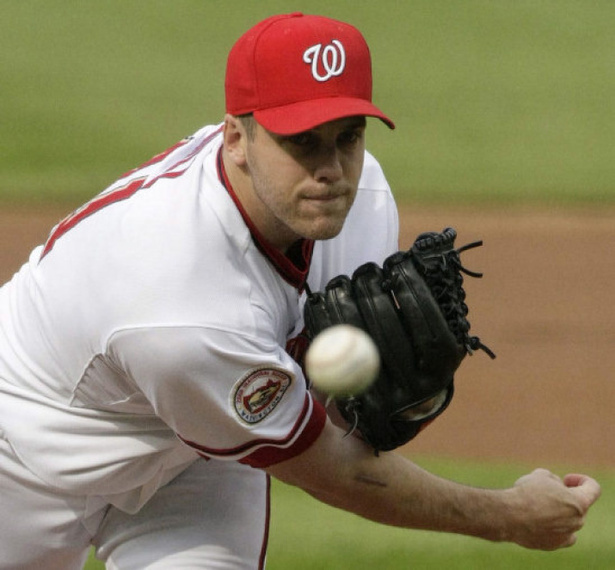 Hill made 37 of his 44 career Major League starts for the Montreal/Washington franchise between 2004 and 2008. He last appeared in the Majors with the Toronto Blue Jays in 2010, making four starts and posting an impressive 2.61 ERA in 20.2 innings. Hill is one of four native Canadians to play for both Montreal and Toronto in the Majors. He hails from Mississauga, Ontario and suited up for Team Canada in the 2011 Pan-Am Games, and also pitched for Canada during the 2004 Olympics in Athens. Over a year ago, Hill was with the then Florida Marlins in spring training, when a complaint of soreness in his pitching elbow led to an examination. The soreness was due to a circulation problem, and as a result Hill was forced to have a rib removed, which ended his 2011 season before it began. Hill, 31, is beginning his 11th professional season and first in the Atlantic League. His most impressive extended MLB time came in 2007 with Washington, when he carried a 3.42 ERA through 16 starts and 97.1 innings. He has 151 strikeouts in 239 career Major League innings pitched. A sixth round draft pick of the Montreal Expos in 2000, Hill debuted as a professional that year, reaching the Majors at age 23 for the Expos in 2004 (three starts), before the franchise relocated to Washington, D.C. the following year. He also made three starts for the San Diego Padres in 2009.